Orazio Gentileschi (Pisa 1563 - 1639 London), Danaë. Oil on canvas, 1621, 63 ½ by 89 ¼ in. Est. $25/35 million. Photo: Sotheby's. 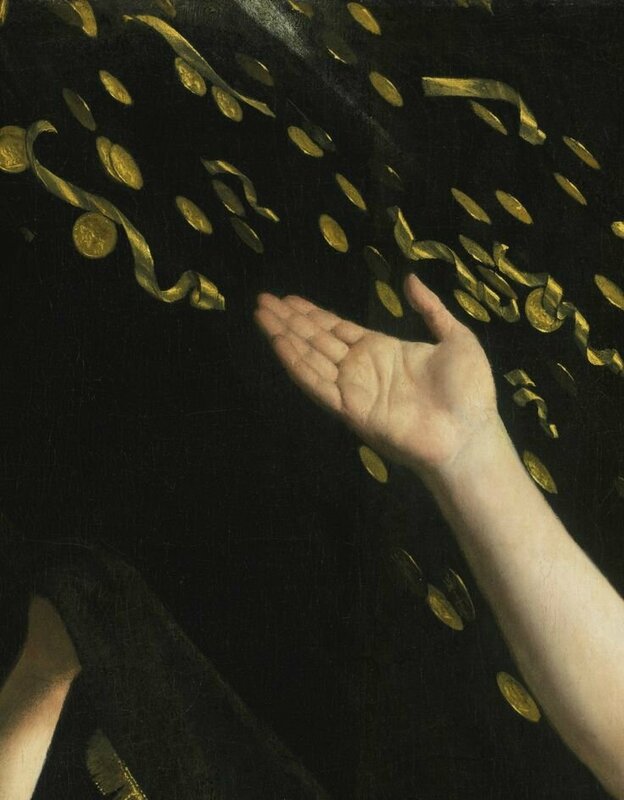 NEW YORK, NY.- Sotheby's annual Masters Week auctions in New York will be held from 27 - 30 January 2016. 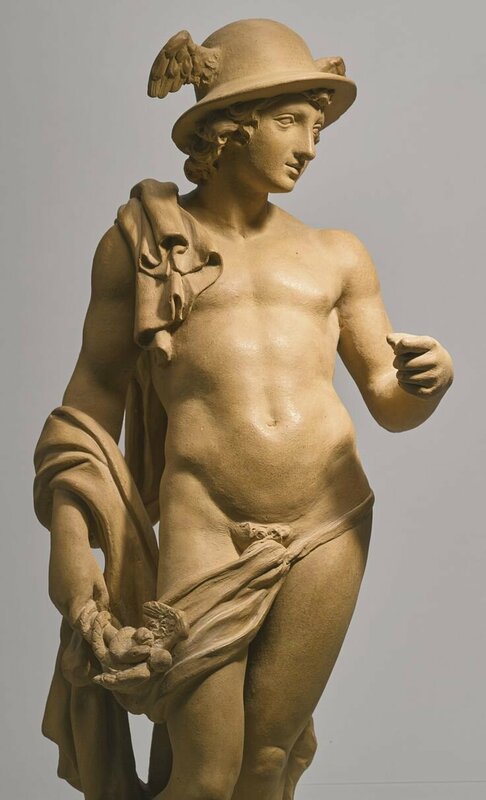 This exciting auction series features rare and important European paintings, drawings, and sculpture dating from the 14th through the 19th centuries, including Orazio Gentileschi’s Danaë, one of the most important Baroque masterpieces left in private hands, and two very special private collection sales: The Collection of A. Alfred Taubman and The Road to Rome. The Masters Week exhibitions open 22 January in Sotheby’s York Avenue galleries. Mr. Taubman’s remarkable collection of Old Masters includes rare pieces by two of the most iconic names in the history of art: Raphael, whose small Portrait of Valerio Belli, Bust Length, Facing Left (estimate: $2/3 million) — one of the last of his paintings remaining in private hands — is unique in the artist’s oeuvre as the only known profile bust representation, and Dürer, whose Christ Being Nailed To The Cross (estimate: $1/1.5 million) is related to his important series of drawings known as the Green Passion. 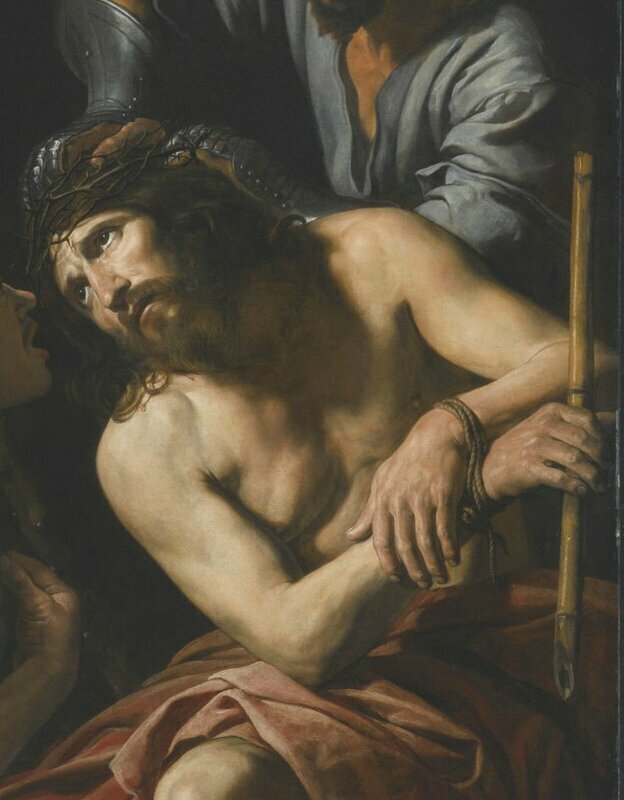 Mr. Taubman’s collection also offers one of the strongest groups of Baroque works in private hands, led by Valentin de Boulogne’s The Crowning With Thorns (estimate: $1.5/2 million), as well as a number of classic 18th century British pictures, featuring Thomas Gainsborough’s The Blue Page (estimate: $3/4 million). 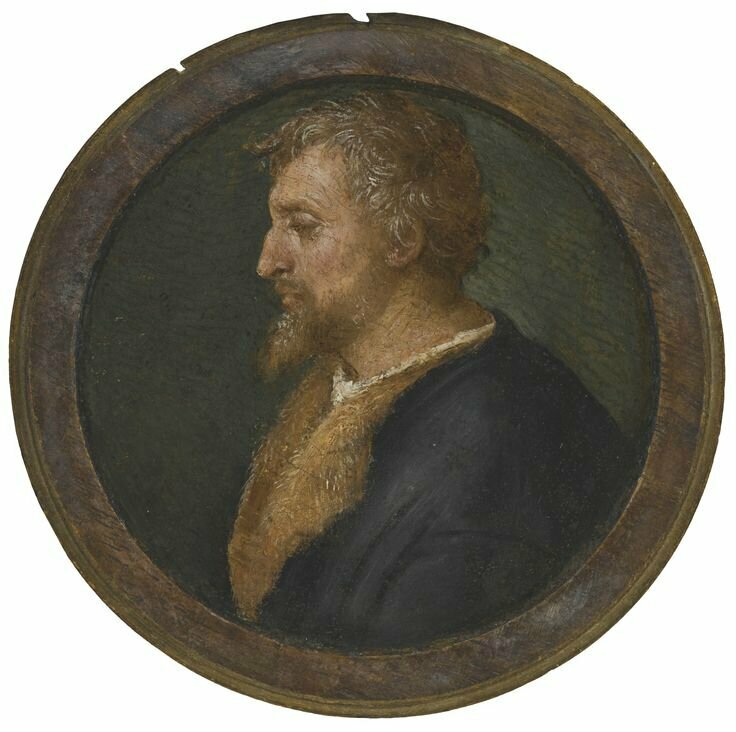 Raffaello Sanzio, called Raphael (Urbino 1483 - 1520 Rome), Portrait of Valerio Belli, Bust Length, Facing Left. Inscribed on the reverse Fatto dell'ano 1517 in Rom(a?) / Rafael Urbinate, in the upper section, RAFAEL VRBINATES PINXIT ROM(A?) (...) on the inside rim of the lid and Nacqu(?) ao di 147(6?) (...) 46. in the lower section. Oil on panel, a roundel, overall diameter: 4 15/16 in. ; 12.5 cm, painted surface diameter: 4 in. ; 10.1 cm. Estimate: $2/3 million. Photo: Sotheby's. Albrecht Dürer (Nuremberg 1471 - 1528), Christ Being Nailed To The Cross. Signed with monogram, in margin, top center: AD; bears inscription in black chalk, lower margin: from the Bouverie Collection; bears partially illegible collector's inscription in brown ink, on revers of old backing: HB / **BT. Pen and brown ink, within drawn brown ink framing lines, on paper, Watermark: Trident, 11 1/2 x 8 1/8 in. ; 292 by 206 m. Estimate: $1/1.5 million. Photo: Sotheby's. 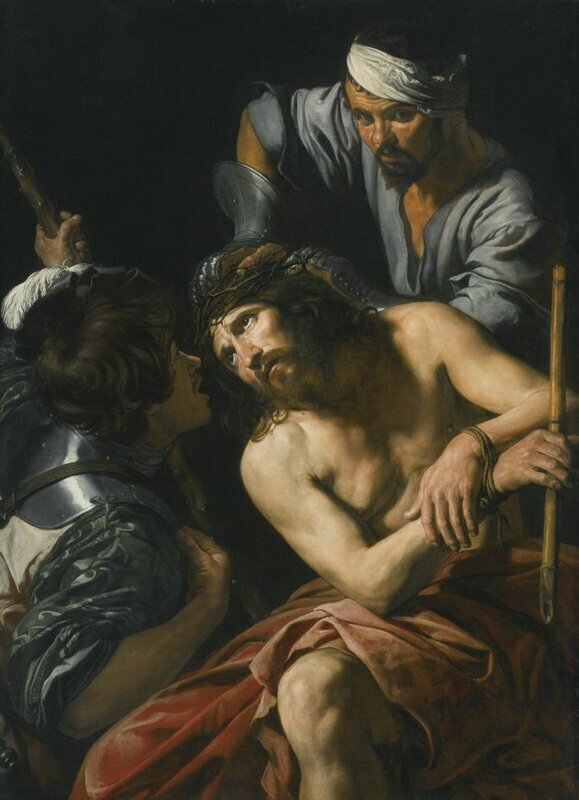 Valentin de Boulogne (Coulommiers-en-Brie, Seine et Marne Bapt 1591 (?) - 1632 Rome), The Crowning With Thorns. Oil on canvas, 58 5/8 by 41 7/8 in. ; 146.4 by 106.5 cm. Estimate: $1;5/2 million. Photo: Sotheby's. 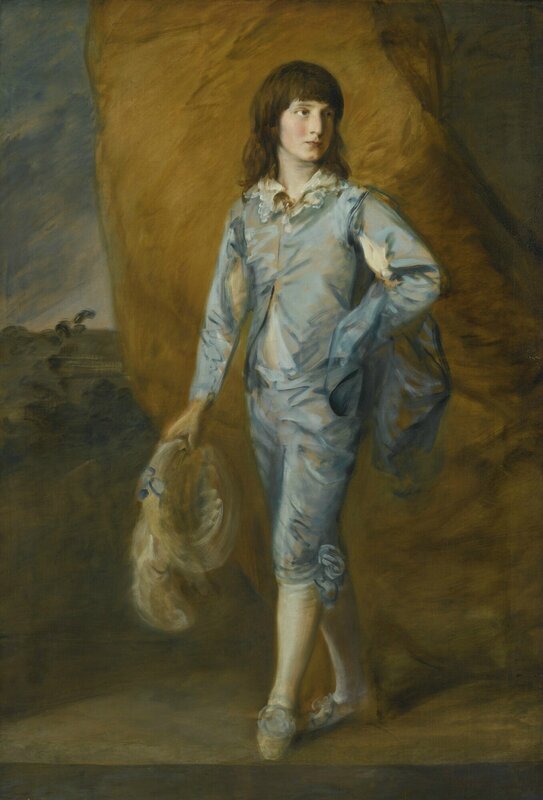 Thomas Gainsborough R.A. (Sudbury 1727 - 1788 London), The Blue Page. Oil on canvas, with an addition of approximately 3 1/2 inches across the bottom, 65 by 44 1/2 in. ; 165.5 by 113 cm. Estimate: $3/4 million. Photo: Sotheby's. 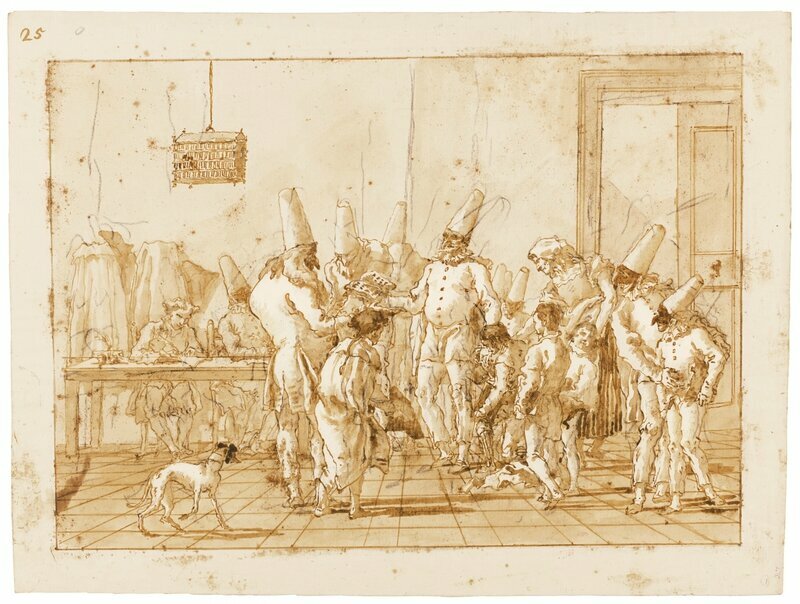 Sotheby's 28 January sale of Master Drawings offers a strong selection of Italian drawings, led by Giandomenico Tiepolo’s The Country School (estimate: $600/800,000) from his famous series of scenes from the life of ‘Punchinello.’ The auction also features: newly-discovered drawings by 17th-century Dutch masters Jacob van Ruisdael and Dirck Helmbreeker; major British works by William Blake and J.M.W. Turner; a series of studies by Ingres; a portrait of Jean-Claude Gaspard de Sireul (estimate: $120/180,000) by François Boucher; and Guercino’s masterly red-chalk Study of a Baby in a Basket (estimate: $60/80,000) — one of an outstanding group of four drawings by the artist. Giandomenico Tiepolo (Venice 1727 - 1804), The Country School. 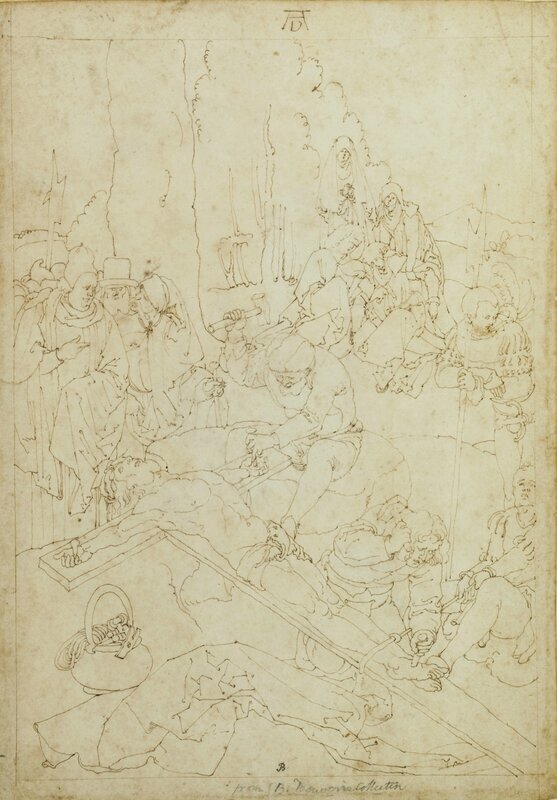 Pen and brown ink and two shades of brown wash, over black chalk, within brown ink framing lines; signed in pen and brown ink on the table edge: Dom.0 Tiepolo f.; numbered in pen and brown ink, upper left corner: 25, 350 by 465 mm; 13¾ by 18 5/16 in. Estimate: $600/800,000. Photo: Sotheby's. 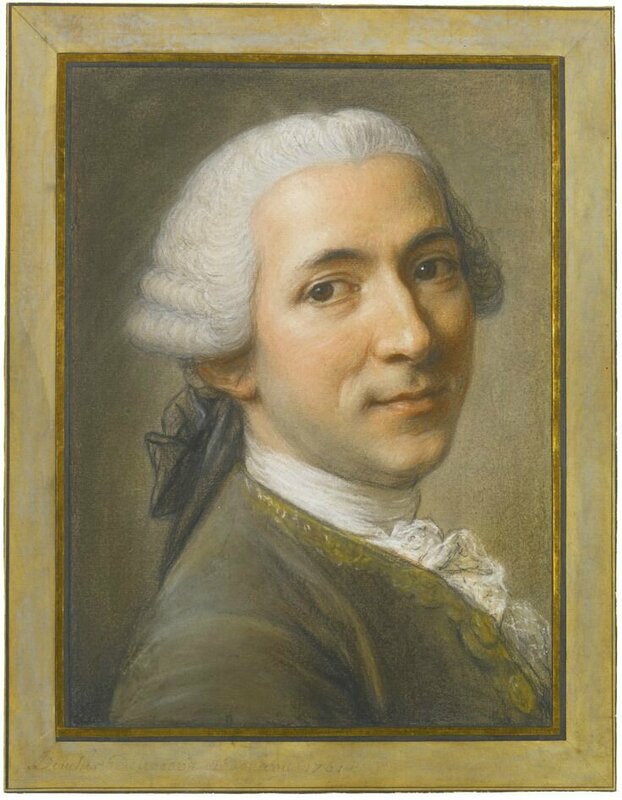 François Boucher (Paris 1703 - 1770), Portrait of Jean-Claude Gaspard de Sireul (ca. 1710/20-1781). 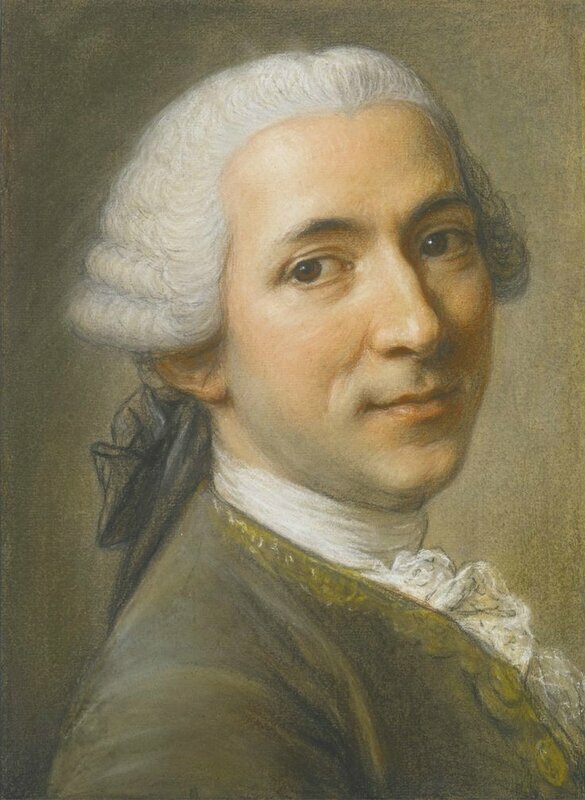 Pastel over red chalk; inscribed in black chalk: Boucher Delineavit Et donavit 1761 on the mount and inscribed in ink: Portrait de Mr jean-glaude Gaspart de Sireul Ecuier premier / par Boucher de l’academie de Pinture en l’annee 1735 on the back of the frame, 315 by 230 mm; 12 7/16 by 9 1/6 in. Estimate: $120/180,000. Photo: Sotheby's. 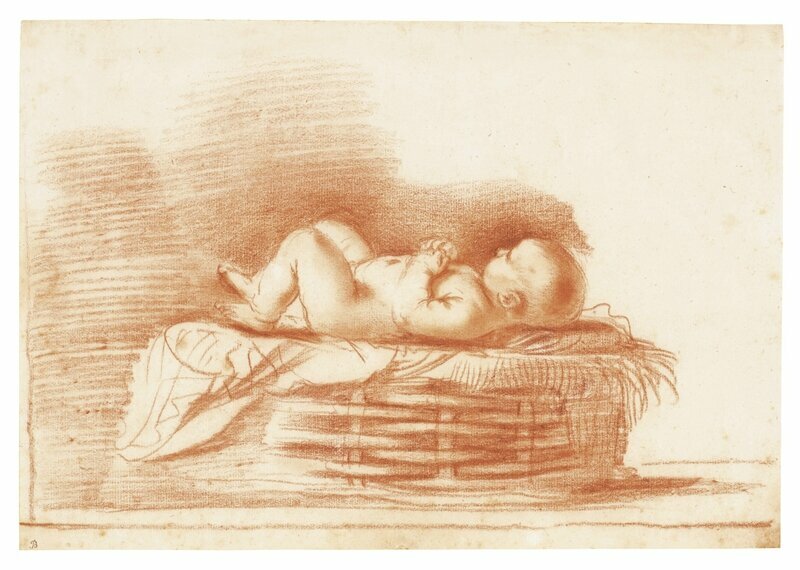 Giovanni Francesco Barbieri, called Guercino (Cento 1591 - 1666 Bologna), Study of a Baby in a Basket. Red chalk and stumping, 195 by 282 mm; 7¾ by 11 1/16 in. Estimate: $60/80,000. Photo: Sotheby's. The Road to Rome: A Distinguished Italian Private Collection, Part I comprises 35 view and portrait paintings that display a splendid overview of ‘Grand Tour’ taste. Throughout the 18th-century, young aristocrats partook in the Grand Tour, visiting Italian cities including Venice, Naples and Rome as the culmination of their academic studies. Inspired by their voyages, many of these travelers developed an interest in art, sitting for some of the great portrait painters of the time and immortalizing their adventures by purchasing breathtaking view paintings. 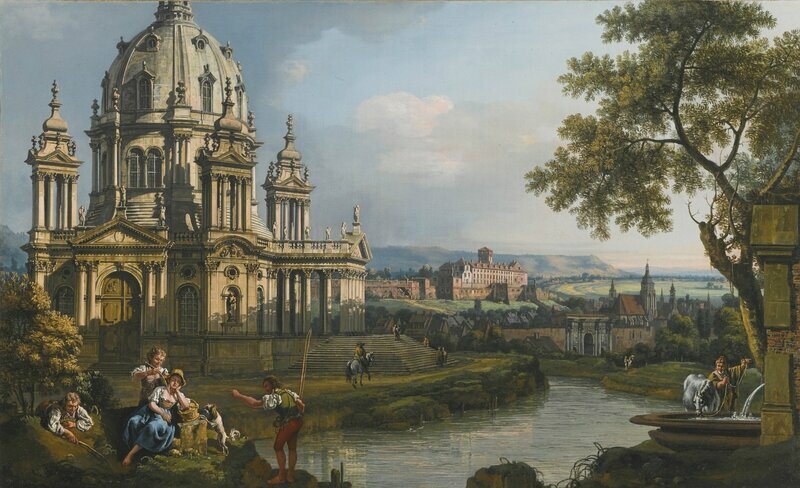 Many of the great artistic talents of the time including Vanvitelli, Bellotto, the Van Lint family, Hackert and Caffi directly benefited from the patronage of these Grand Tourists, and paintings by them will be highlights of the auction. Gaspar van Wittel, called Vanvitelli (Amersfoort 1652/3 - 1736 Rome), Naples, A view of the Riviera di Chiaia, oil on canvas, 29 3/4 by 68 3/4 in. ; 75.7 by 174.8 cm. 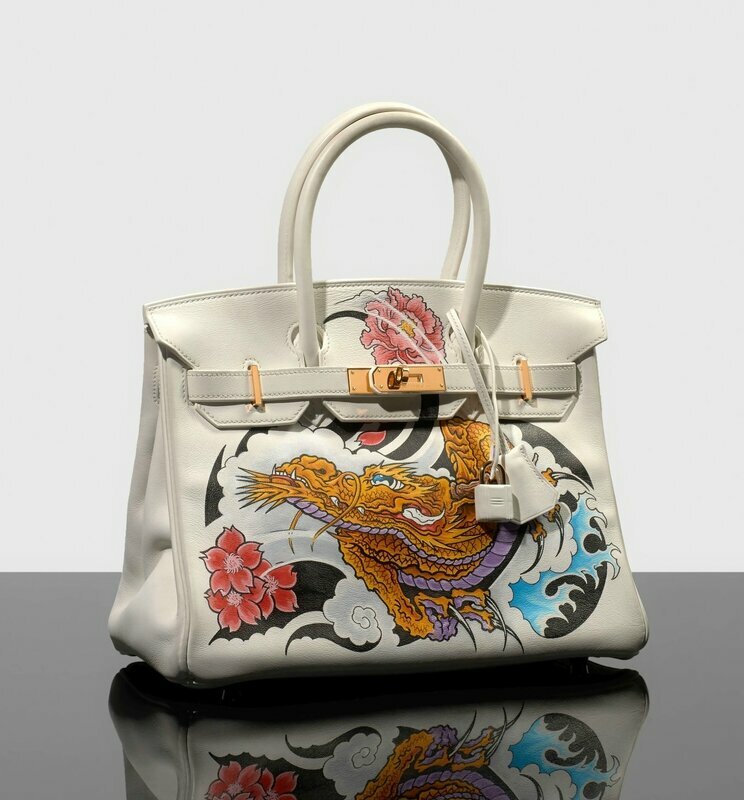 Estimate: $1;5/2 million. Photo: Sotheby's. Bernardo Bellotto (Venice 1722 - 1780 Warsaw), A capriccio river landscape with a church to the left, oil on canvas, 48.4 by 78.2 cm. ; 19 by 30 3/4 in. 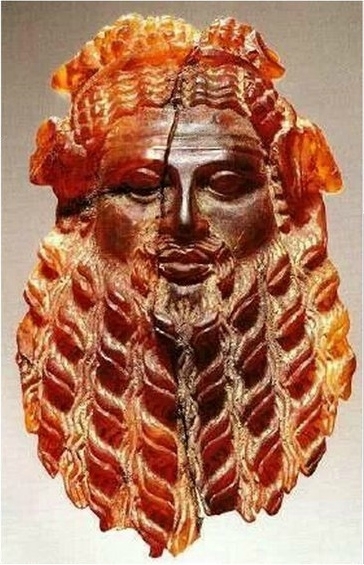 Estimate: $1/1;5 million. Photo: Sotheby's. 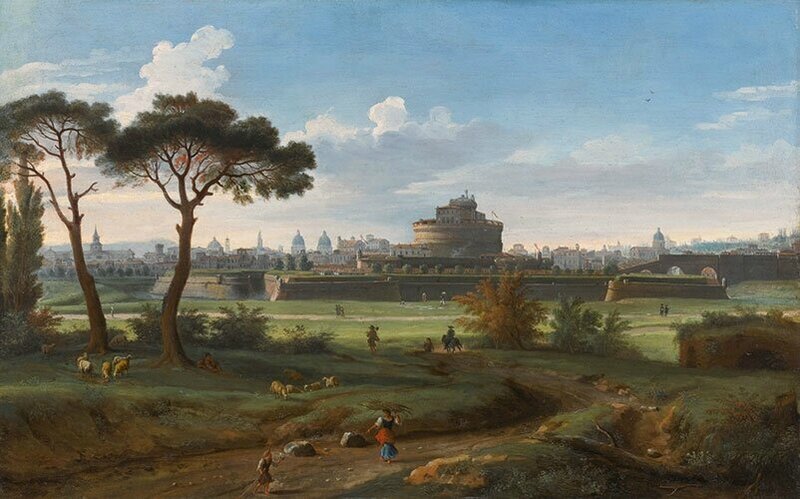 Gaspar van Wittel, called Vanvitelli (Amersfoort 1652/3 - 1736 Rome), Rome, a view of the castel Sant'Angelo from Prati, oil on canvas, 16 3/4 by 26 3/8 in. ; 42.5 by 67 cm. Estimate: $300/400,000. Photo: Sotheby's. 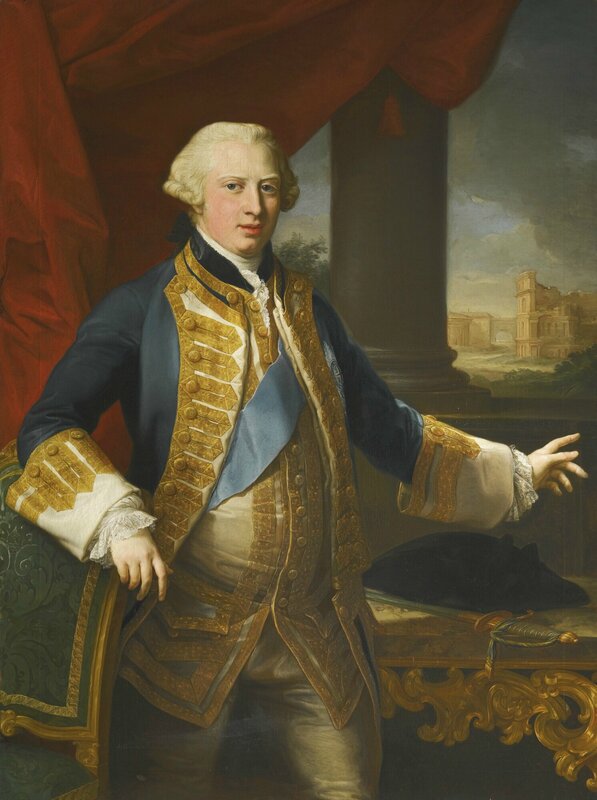 Pompeo Girolamo Batoni (Lucca 1708 - 1787 Rome), Portrait of Prince Edward Augustus, Duke of York and Albany (1739-1767), signed and dated on the ledge, center right: P. BATONI PINXIT ROMAE. 1764. (AE in ligature) and stamped on the reverse of the canvas: H.S.B. 121, oil on canvas, 53 3/4 by 39 in. ; 136.5 by 99.3 cm. Estimate: $300/400,000. Photo: Sotheby's. Orazio Gentileschi’s superb Danaë (estimate: $25/35 million) will lead the Master Paintings Evening Sale on 28 January. This undisputed masterpiece is one of the most important Italian Baroque paintings to come to market since World War II. Sotheby’s invited Pamela Romanowsky, writer and director of The Adderall Diaries, to create a film inspired by the work resulting in a beautiful and modern interpretation. View her film here: Reimagining Gentileschi’s Danaë. 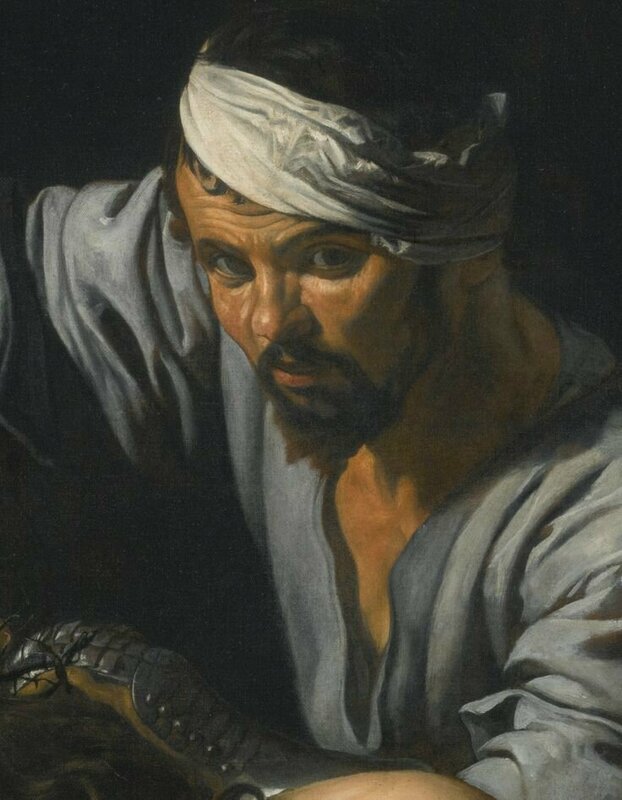 In addition, the evening sale offers paintings by an impressive list of iconic artists: Sir Peter Paul Rubens, Lucas Cranach the Elder, Pieter Jansz. Saenredam, Sandro Botticelli, Eustache Le Sueur and Jacob Jordaens, whose St. Martin Healing a Possessed Man (estimate: $4/6 million) is one of the most exciting Flemish Baroque rediscoveries in decades. 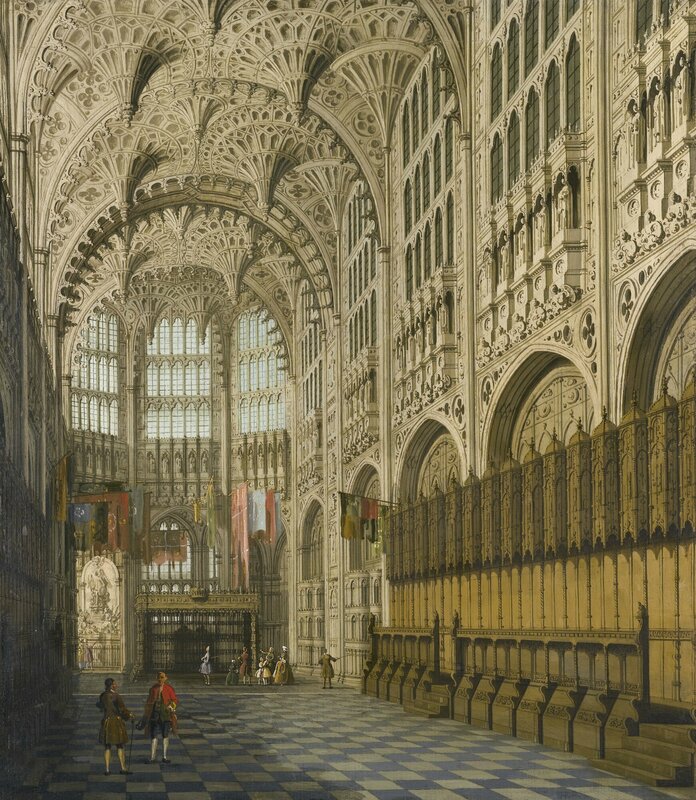 Further highlights include Canaletto’s An Interior View of The Henry VII Chapel, Westminster Abbey (estimate: $5/8 million), dating from the early 1750s, which depicts an remarkable view of Henry VII’s chapel in Westminster Abbey -- one of the artist’s rare works of an interior. 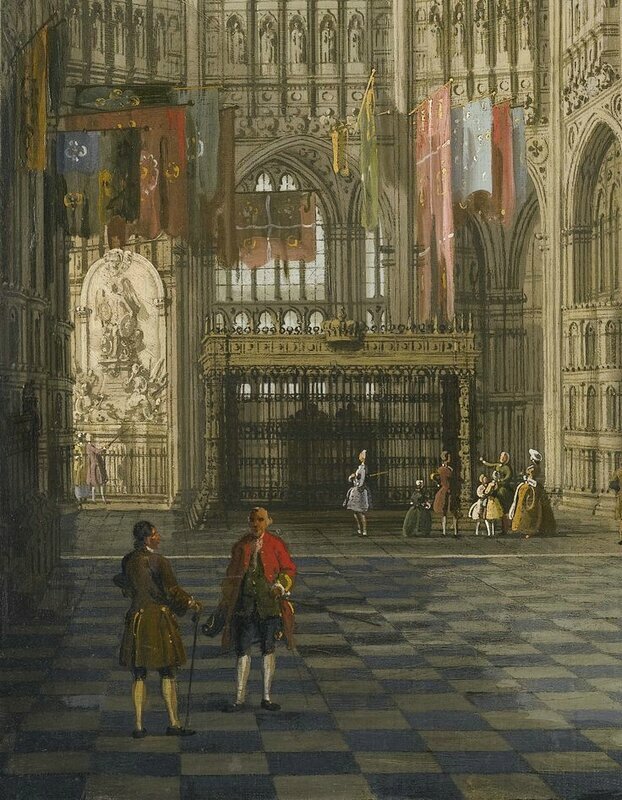 Giovanni Antonio Canal, called Canaletto (Venice 1697 - 1768), An Interior View of The Henry VII Chapel, Westminster Abbey, oil on canvas, 30 1/2 by 26 1/4 in. ; 77.5 by 67 cm. Estimate: $5/8 million. Photo: Sotheby's. 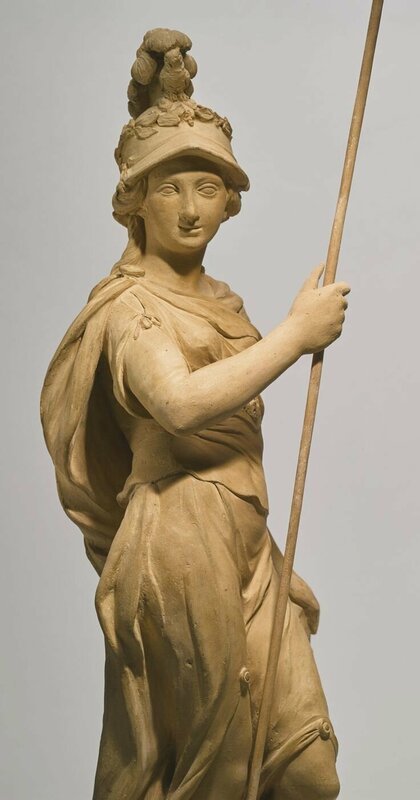 The Day sale offers a wide range of European paintings and sculpture spanning six centuries. Highlights of the paintings include works by esteemed artists Hubert Robert, Hans Bol, Jan van Goyen, Lucas Cranach the Younger, Apollonio di Giovanni di Tommaso, Edwaert Collier, and Pietro Antonio Rotari. 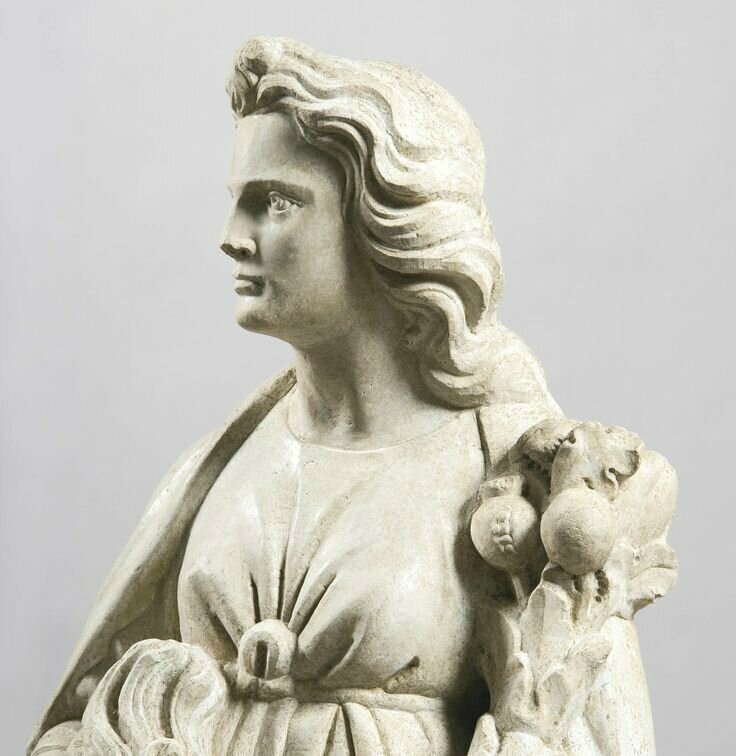 Sculpture and works of art from the Medieval, Renaissance and Baroque periods include an important pair of Venetian 15th century Istrian stone figures of Hope and Charity (estimate: $400/600,000) by Bartolomeo Bon; a beautifully-painted enamel plaque of The Annunciation (estimate: $50/80,000) by Royal enameller Leonard Limosin; and a pair of elegant Italian terracotta figures of Mercury and Minerva (estimate: $80/120,000), attributed to the late 17th century Florentine sculptor Giovanni Baratta. 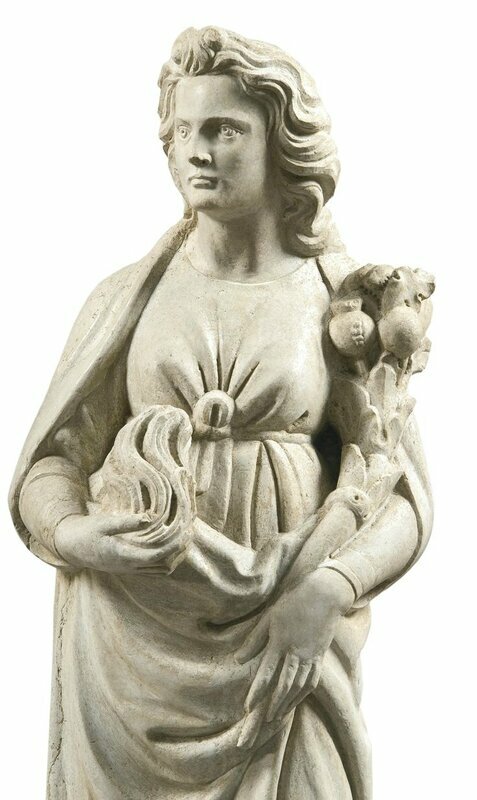 Bartolomeo Bon (circa 1405- before 1467), Italian, Venice, circa 1425-28, Hope and Charity, istrian stone, with traces of blue, red and gold polychromy; heights 56 ¼ and 57 in. 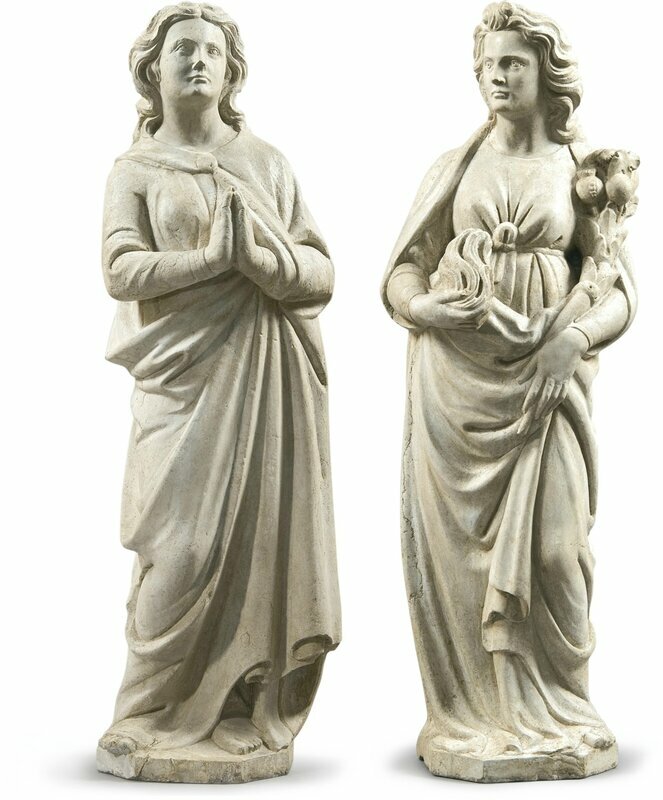 ; 143 and 145 cm., with associated stone pedestals. Estimate: $400/600,000. Photo: Sotheby's. 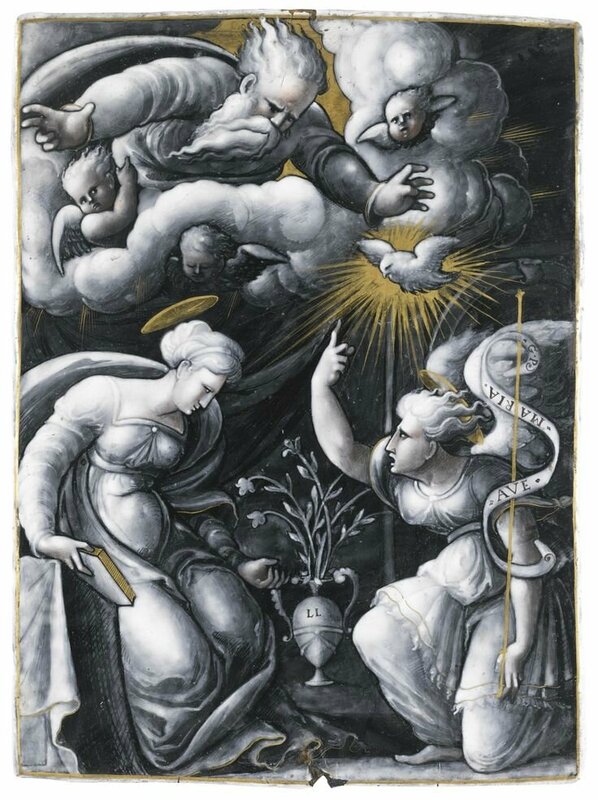 Léonard Limousin (1505-1575/1577), France, Limoges, circa 1530-1550, The Annunciation, signed LL on the vase , enamelled copper, highlighted in gold, 8 5/8 by 6 1/2 in., 22 by 16.5 cm. Estimate: $50/80,000. Photo: Sotheby's. 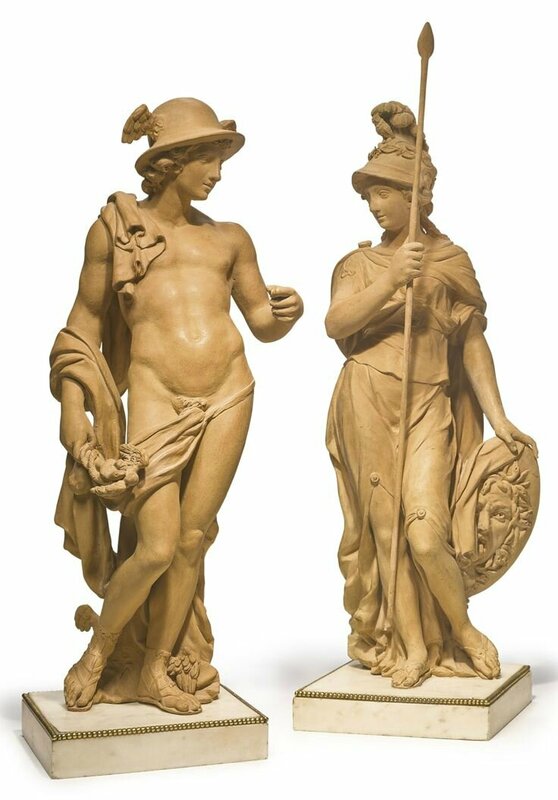 Giovanni Baratta (1640-1747), Italian, Florence, circa 1695-1705, Mercury and Minerva, terracotta, heights 18 and 18 7/8 in. 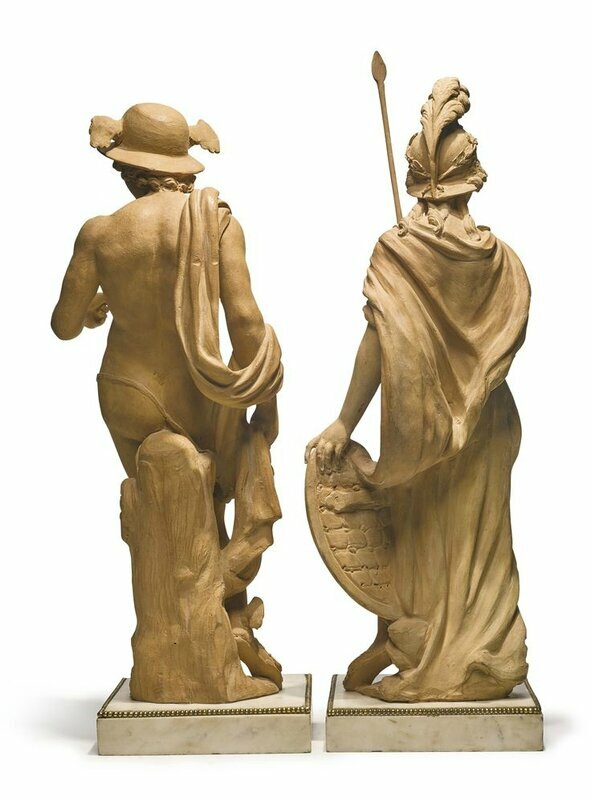 ; 46 and 48 cm., upon ormolu-mounted marble bases. Estimate: $80/120,000. Photo: Sotheby's. Part 1 of the sale includes works by European artists from the 15th through the 18th centuries, while Part 2 focuses on 19th century French, Italian, British, Dutch, German, Spanish and Scandinavian paintings, with a selection of Sporting pictures.